With the new turn by turn directions from Apple’s new Maps app in iOS 6 firmware (coming fall 2012), the voice of Siri directs you where to go. I’ve found a problem with this. 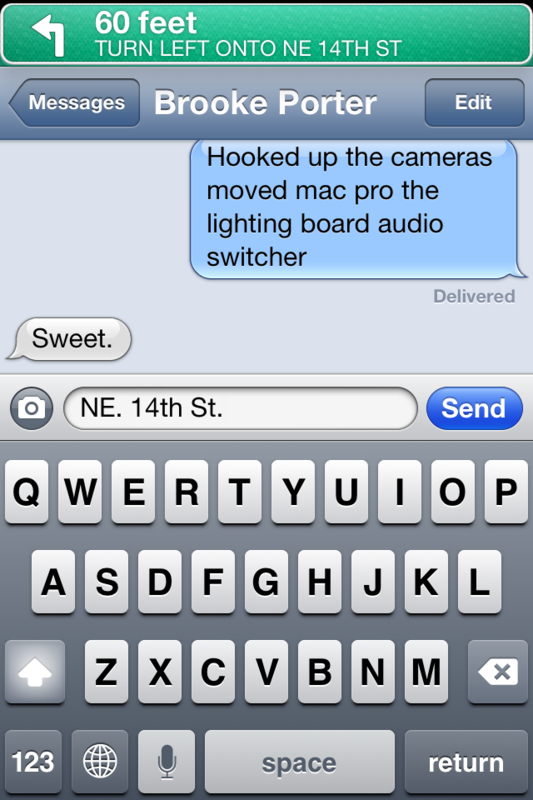 When I’m using Siri or voice to text to send a text, Siri will talk over me. What’s encouraging is she can understand herself. It’s kind of annoying but it would be nice if either; it wouldn’t let you use that feature when you’re close to an upcoming voice prompt, it would wait until you’re done, or shut off voice to text during the announcement. 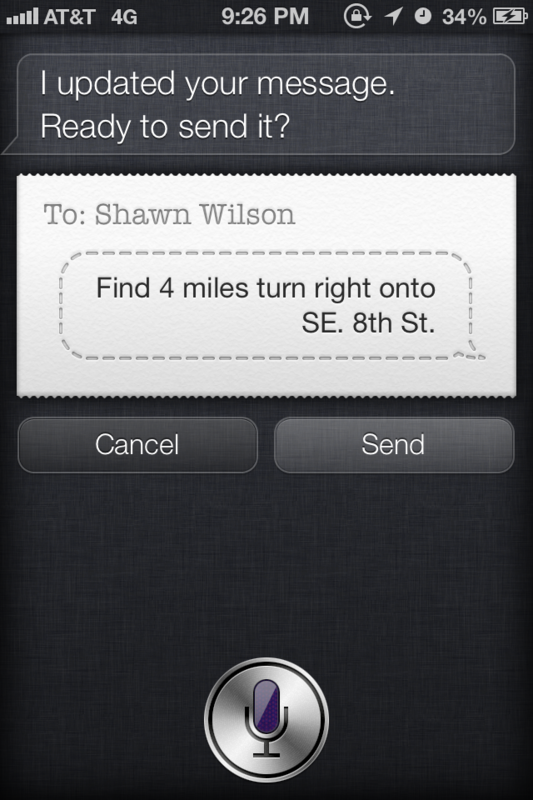 Here’s a couple screenshots of Siri’s directions being typed out by the voice to text feature. Yoi should report that to apple – because that’s a big bug. On the other hand, if you are in the middle of making turns – maybe its not the best time to be using Siri. This should be reported to apple as mentioned by Andres! I hope the new iPhones coming out do not have this problem! My wife does the same thing (talk over me and to herself). You get used to it. Ha!